I first came across this word in the early noughties when I moved to Ireland. It was usually heard in relation to fairly mundane things, as in "My car's banjaxed," or "You're gonna banjax it with that type of carry on." These days you're more likely to hear about the banjaxed economy, for which the picture of the train is a fitting metaphor. 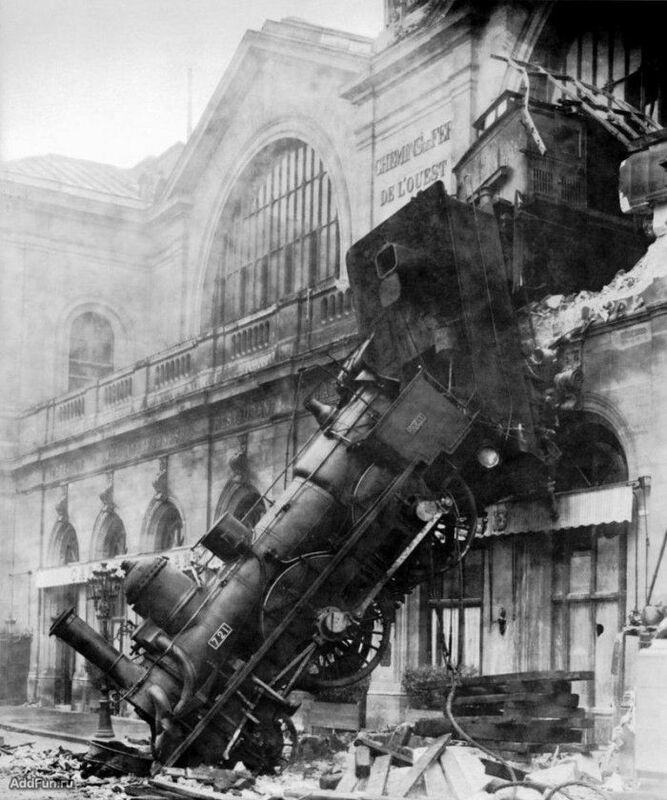 The combination of b, j and x makes it sound as if a train is being derailed, so the picture couldn't be more suitable. I mean this could almost be considered as an onomatopoeic word! There are many things in life that have the inevitability of watching a train wreck. Banjax is also the name of an electric banjo, as featured in the line up of one of my all time favourite groups....Shooglenifty! Now there's an interesting piece of trivia. I tried to find a YouTube video of it but I couldn't ... there's an electric banjo alright, but is it the legendary banjax ... ? I don't know ... maybe you can have a look!